We believe in the education of our clients as to all of the options available to them, by doing so, we have found the Homeowner to be able to make the healthiest decisions for themselves and their family while reaching for the best possible outcome. The information we and our network of consultants | contributors provide is at no cost and | or no advance fee consultations. We can assist you in knowing which is your best option in relation to your real estate needs and we look forward to helping you get the assistance you need to maneuver through this unprecedented Market. Please contact any Platinum Elite Associate by clicking our HomePage, E-mail us at Info@PlatinumElite.com, or call us at 702-869-9999. You call also Follow-us on Facebook | Twitter | Linked-In | Trulia | Realtor.com all links are on the right column or our HomePage. Term No. 4: Nationstar Mortgage reserves the right to market your property and to obtain additional offers during the period the offer you have presented is being reviewed. Nationstar Mortgage may retain Auction.com to market your property to obtain these offers. Can you say, Contractual Interference? This is going to get ugly before a resolution is evident, this is why we have an attorney assist program. Term No. 5: You and your real estate agent agree to cooperate with Auction.com during the auction process by, including, but not limited to, making your property available for at least one (1) open house date prior to the auction date and directing any interested parties to submit offers through the auction process. Etc……. How do you think the homeowners can place their home back on the market when they already have an Offer and Acceptance (which is a complete full and binding contract), with agreed terms and conditions, and who also has complied with a counter offer from Nationstar. Now all parties are under a binding contract. Through proper contract negotiations, you should be able to count on all parties to use fair business practices. This is illegal from a Nevada Real Estate Practices perspective. Term No. 7: If Nationstar is able to obtain a higher offer than the currently submitted offer, Nationstar reserves the right to evaluate the new offer instead. Again, as mentioned above, this is interference with a current and active Real Estate Contract in place between the seller and purchaser. Nationstar and Auction.com are acting as if they already own the property and can dictate the disposition of the negotiations through placing it on Auction for four (4) days. Would someone tell them that they don’t have that right or privilege until they properly foreclose on the property. Oh, that’s right, that’s the other part of this story that has been left out. Nationstar has told us, through their negotiator that they have a Trustee Sale Date through CalWestern Trustee Corporation for March 18th, 2013. According to our affiliate company NSP, LLC, the title company, public records, and Attorney Crystal Eller who conducted her own review, there has been no Notice of Default filed. 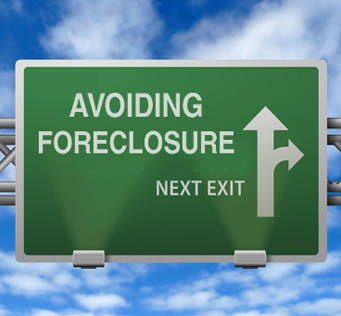 In addition, a Certificate for Foreclosure has not been issued as is required in the State of Nevada under the Nevada Foreclosure Mediation Program. This is covered under the Nevada Statutes since the passage of AB 149 in 2009. This is Predatory and illegal on multiple levels. Term No. 8: In connection with the auction marketing services provided by Auction.com, a buyer’s premium in an amount not to exceed 5% percent of the winning bid amount shall be added to the winning bid amount to establish a “Total Purchase Price” to any buyer obtained by Auction.com. The Buyer’s Premium will not apply if the originally submitted offer is the highest bid; however, if the original offer is driven higher by bidding activity, the buyer’s premium will apply to all bidders, including the original buyer. The buyer premium shall be paid to Auction.com at closing……..
What is touched on in the Bloomberg Article written by David McLaughlin & Jody Shenn, is that Investor’s are appalled that this “Buyer’s Premium” is being shared with Nationstar?! Is this not a breach of their fiduciary duty to their investors as well to the homeowners involved? Term No. 12: Nationstar Mortgage will evaluate your current offer or the higher offer and make a firm decision on their acceptability. Understand that Auction.com’s bidding platform, eliminates the Appraisal Process, which detrimentally affects the ability to Short Sale at all, because properties with Freddie Mac, Fannie Mae, and FHA financing will not even meet threshold investor guidelines. The most frustrating result of this circumstance is that Nationstar is stating in its E-mail to the Homeowners through Negotiation Service Providers, LLC is that in order to continue with The Short Sale Process the document must be signed by the Homeowner and Listing Agent then returned by a specified date or face foreclosure. Quote, “This Program is not Optional.” Again, Predatory and unfair collection practices are being used by Nationstar. Crystal Eller, who has also been retained by the borrower, plans to contact Nationstar and Auction.com to demand that they cease and desist these Predatorial and unlawful practices against our mutual client and homeowners in the state of Nevada. If you are experiencing the same difficulties as described in the Bloomberg Business Week Article, this Platinum Elite Blog Page, or with Nationstar, or other Mortgage Servicing entities, please contact our offices and let us see what options are available to you in your situation. This entry was posted in Uncategorized and tagged AB 149, AB 284, AB 300, AB 321, AB321, Auction, Auction.com, Bankruptcy, breach of contract, Business, Buyer's Premium, Deed in lieu of foreclosure, Deed-in-Lieu, Distressed Homes, Down payment, Estate planning, Fannie Mae, Federal Housing Administration, FHA, FHA insured loan, Foreclosure, Freddie Mac, HAFA, Home insurance, Homeowner, Homeowner Bill of Rights, Homeowner Options, Insurance, Las Vegas Real Estate, Life estate, Loan, Loan-to-value ratio, Making Home Affordable, mediation, Mortgage insurance, Mortgage loan, Nationstar, Negotiation, Nevada, Offer and acceptance, Predatory, Real Estate, Real Estate Contract, Real Estate Investments, RealtyTrac, Seminars, Short (finance), Short Sale, Trustee, unfair lending practice, United States Department of the Treasury, Workshops. Bookmark the permalink.